Having a successful writing career is something that a lot of people dream of and only a small percentage obtain. 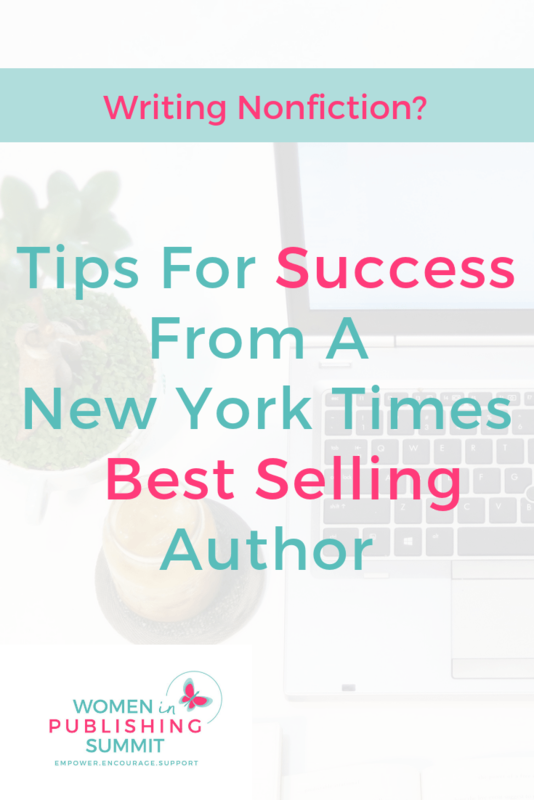 In a previous writing summit, we interviewed Joanna Penn, a full-time writer and New York Times Best Selling author who offered us these tips for a long lasting career as a nonfiction writer. As you learn more about the subject you’re writing about, share about it online by blogging, podcasting or sharing on social media. You’ll develop an audience (also known as a platform), help people along the way and some of those people will buy your books. Of course you don’t have to give all away but it is important to invite potential readers into the process of developing your book. Give them a look at what you’re doing behind the scenes. Joanna recommends writers not put too much weight on hitting the best seller lists like USA Today or the New York Times. Instead, she recommends diversifying your income streams because having a successful book or best seller doesn’t set you up financially for the rest of your life. Plan to continue to write additional books and add income streams like coaching, consulting, speaking, podcasting, online courses or products into your brand. Research keywords and use the language people are searching for instead of industry terms. Nonfiction books should have a clear title or subtitle. It’s important to research keywords for the title of your book before you publish it because a keyword rich title and subtitle will help your book get found by the people who are looking for it. Remember, your audience will use everyday words when searching for your book instead of industry terms. A great way to research keywords is to go to Amazon’s Kindle book section and search for words and phrases in Kindle. Type in a keyword or phrase and it will auto populate what people are actually searching for. You can use this information to help you make an informed decision about what to write about and how to title your book. Joanna recommends for nonfiction books to have a very clear and obvious title or subtitle. You don’t have to be a famous expert in your subject area to write a book about it. Everyone’s an expert as long as they share their knowledge. There will always be people who know more about your subject than you do, but you’ll be able to help the people who are behind you…. The ones who don’t know as much yet! The trick is to not let a negative mindset creep in and keep you from sharing your experience and research by putting it into a book. Take the reader on a journey. Nonfiction books are not textbooks full of facts and figures, although there are facts presented in nonfiction books. Take your readers on a journey by using the principles of memoir and fiction writing- incorporate a story arc, storytelling and personal anecdotes to keep your readers engaged. Instead of writing what you know about, write about what you learned along the way. What lessons did you learn? What obstacles did you overcome? How did you grow personally during your experience? Your own personal stories act as the cherry on top of the sundae in a nonfiction book and keep your reader invested in your journey. Are you ready to get started? We’ve got an amazing resource just for you. Grab our Ditch The Fear Guide and start writing today!